Relish has always been the squeeze bottle I avoided on the condiment table. With its iridescent green chunks and watery pea-green liquid: Non, merci. However, today’s recipe for homemade Zucchini-Pepper Sweet Relish is an entirely different garnish from that one. Once again, I put my pickling in the hands of an expert and followed a recipe from Marisa’s Food in Jars . I loved the absolute pile of produce that went into the making of the relish and the terrific yield – 10 1/2 pint jars (which is the size I used). With one batch, I stocked my pantry, as well as gifted a few jars to my little sister who just moved into a new apartment. Other perks to this recipe are its dead simple method, as well as the relatively short ingredient list. Ready to get canning? A quick summer meal has become grilled lamb sausages from a local farm topped with heaps of this zucchini relish. Those, paired with steamed sweet corn and a garden salad, keep the whole family happy even on the most humid of evenings. I’ve also been using the relish to liven up regular old tuna sandwiches. With the heat wave we’ve been having, they’ve become a regular on the lunch menu, and the added tang and crunch from the relish quite transforms the sandwiches. I should also add that a food processor is infinitely appreciated in the preparation of the vegetables. My Magimix by Robot-Coupe took care of the grating and chopping in abut 2 minutes. Thank heaven. Also helpful, was a Le Creuset 6-3/4-Quart Oval French Oven , which did an excellent job of containing all the vegetables and cooking them down, although a good bit of arm work is required to stir the whole shebang together. Crunchy and sweet, this homemade relish is pure green gold, and the hot new condiment you need for your sandwiches and burgers. 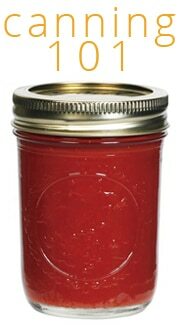 Prepare a boiling water bath and 5 regular-mouth 1-pint/500 ml jars according to our canning basics post. Place the lids in a small saucepan, cover them with water, and simmer over very low heat. Drain the vegetables and return to the pot. Add the remaining apple cider vinegar, sugar, salt, mustard seed, celery seed, and red pepper flakes. Bring to a simmer and cook for 5 minutes. When the processing time is up, remove the canning pot from the heat and remove the lid. Let the jars sit in the pot for an additional 5-minutes. This helps to prevent the relish from reacting to the rapid temperature change and bubbling out of the jars. Marisa's original recipe called for just green zucchini, but I love the color contrast that a few yellow squash add to the mix. 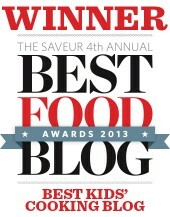 Does relish rank among your condiment favorites? Use SEVIN Dust powder before the squash bugs start to lay eggs on the leaves of your plants. Ive had the bugs destroy my whole crop before and this is the best inscecticide I have found. Hope that this will help you. 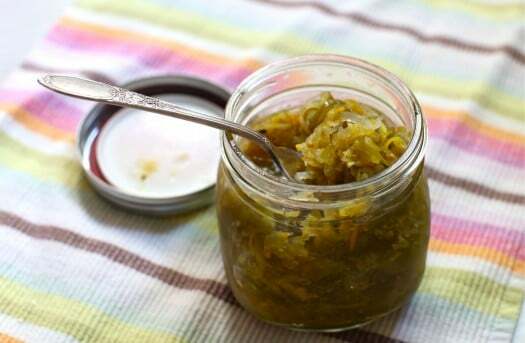 Last summer I made a bread and butter pickle relish with cucumbers, and each jar was devoured in no time at all! 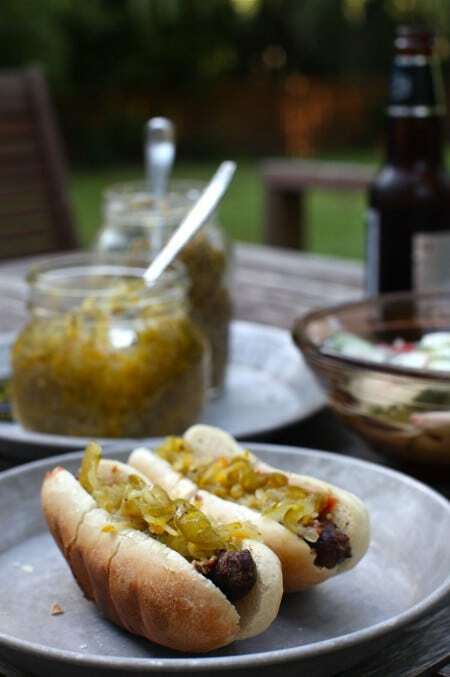 I was thinking that I wanted to find a recipe to make some relish with zucchini this summer… This one looks perfect! Love relish, but not the ones with HFCS. We have been getting some at Whole Foods which actually contains real sugar. We have lot of zucchinis around so I’m motivated to make this recipe. Love the 1/2 pint jars too…just scooped up 2 cases since they are never in stock at the local stores. I love relishes…I’m all about the condiments! This sounds fabulous. 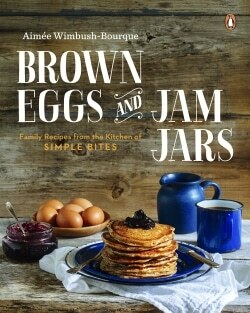 Food in Jars is a great book, too! Adding relish to tuna salad is wonderful, isn’t it? Tuna has been making many appearances during the heat wave and it also is an important player when I am trying to eat what is on hand and not go to the store. I think condiments really can elevate many simple food items, so this sounds great. I made a chow chow years ago to use up monster zucchinis years ago. It was an old time recipe; does anyone make chow chow anymore? I was wondering what jar that is in the top photo of this post. They dont look like the 1/2 pints i see here where i live. Love, love, love all your canning posts. I just completed two batches of salsa (one hot & one not) for my family. I do wonder though where do you learn to make up a recipe since every book say to never change a recipe because it may not can properly. Can’t wait to make this! I’m so excited and patiently waiting for our green peppers and zucchini in the garden!! Me too. I want to make this one too. Your recipe is very similar to an ancient recipe handed down a close family line. We use 10-12 cups zucchini, 2 red bell peppers, 2 green bell peppers, and 2 jalapenos, and then we add 6-8 carrots (everything shredded) and 6 cups of sugar. We also add tumeric (1t) and 2T pickling spice and no celery seed. We wont eat any other relish anymore.. this stuff is to die for and I often give it as gifts and people will just sit & eat the whole jar with a spoon. Crazy good stuff. This recipe also sounds wonderful….would love to try this one also….is this possible? I am thinking of doing for holiday gifts. Ready to try this! Is it really enough to fill five pint jars? There’s only two cups of liquid after draining the first vinegar, right? I’m wondering if it’s supposed to say half-pint jar. All my half pints are currently full of jam…time to buy more! 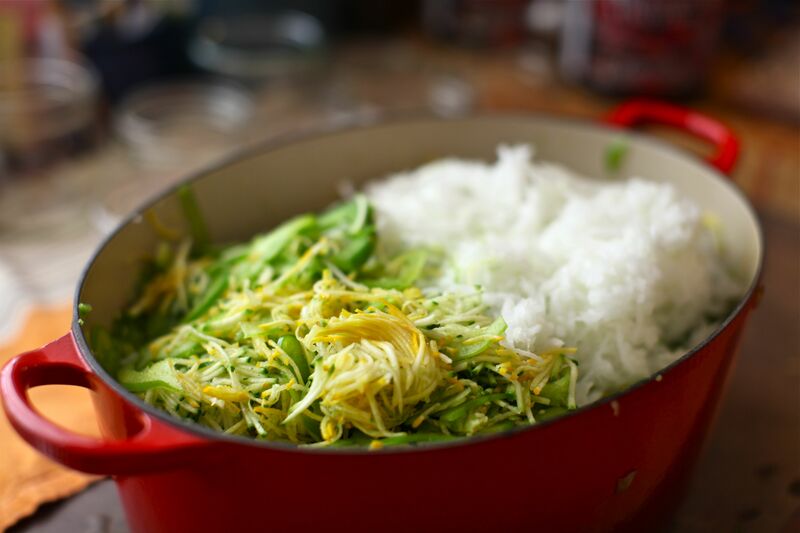 Can you believe that I have never had (let alone to make one) zucchini relish? It looks utterly appetizing and delicious. 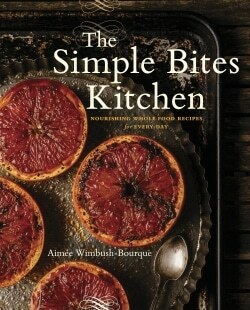 This looks fab and I can’t wait to try it with my own zuccini Thanks Aimée! I made this over this past weekend… We opened our first jar this evening to have with hot dogs on the grill… ( I just could not wait any longer) Wow it was so nice as well as easy to make.. Thank you so much for sharing. Following your recipe was easy as well.. I had not canned for over 40 some years. I have enjoyed my garden this year as well as breaking out the canner again..
Homemade relish – absolutely. Commercial isn’t worth the container. DH bought a bottle while camping and we finally had to throw it out. Horrible. I like the look of the yellow zucchini in yours too – very pretty. I make mine using one of those hand crank meat grinders that I was given, along with the recipe for the relish and bread and butter pickles from my MIL. Sometimes I do B&B pickled peppers and onions for DH’s sandwiches. The recipe I use calls for cucumbers, but the zucchini are thriving and the cucumbers are sulking this year, so zucchini it is. I don’t tend to put relish or pickles ON things.. but I love to eat it on its own. I know, I’m a freak. Yours looks beautiful, Aimee! This looks amazing! 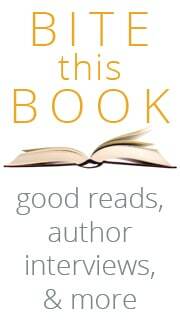 I was so intrigued by Marissa’s book, I actually ordered it from my phone during her session at BSP! I can’t wait to give canning a try. I don’t like to buy the pickle relish from the store bcz it has HFCS in it. I made 1/4 batch and it fit into a pint jar perfectly (I poured off a little of the ACV at the end). I used red peppers. I tasted it b4 refrigerating and it was delicious! Thanks for the recipe! This recipe is terrific Aimee! Used fresh slicing cucs instead of zucchini and bottled up 4 dozen pints last week. We’ve already used up 3 bottles it is sooo good! Thanks for this one! Cooked it up in parts over three of babies naps! Do the red pepper flakes make this recipe spicy? trying to find something similar because it was so good. I tried this recipe…yum! I added a bit more pepper as we like a little hot and sweet. Highly recommend using your food processor- made making this a breeze. Recipe is a keeper. would subbing the apple cider vinegar for white vinegar help take out some of the sweetness? we are a dill relish kind of family over here. Sounds fantastic. I love Zucchini Relish and will try This recipe. I’ve canned for years, but this is the first time I’ve tried relish- the zuchinni were getting out of hand, so this was a good fit! 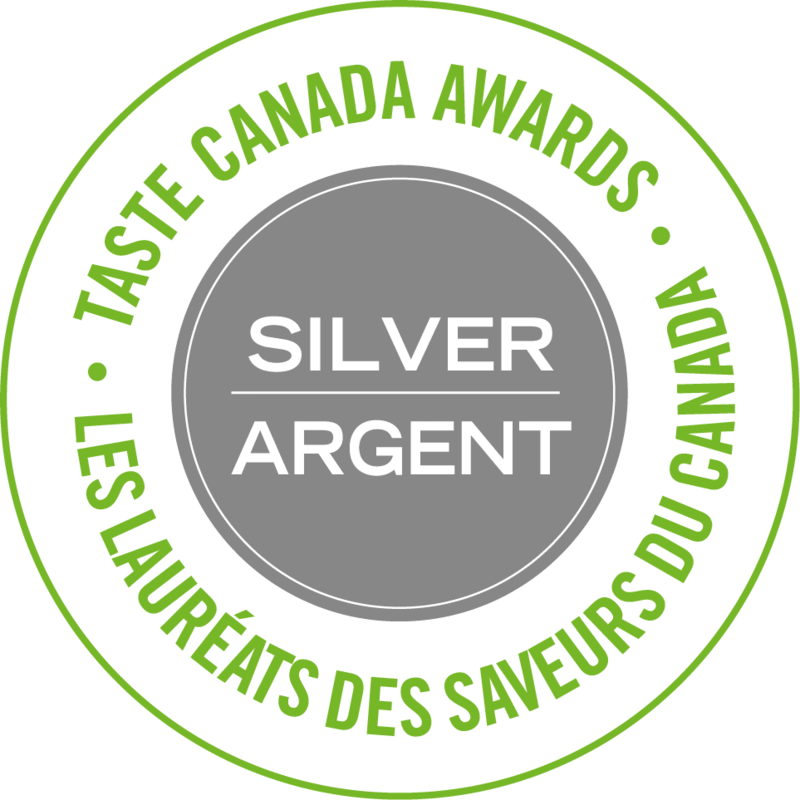 It is AMAZING, and it even passes the test for my kiddo that won’t touch zuchinni. Just thought I’d let you know last year I tried this recipe with our abundant zucchini crop. Am i able to swap the green peppers for red ones? I did this recipe twice and got 6 pints is that still a safe quantity? How long til it’s pickled properly/ready to eat and how long does it last on the pantry shelf? Made this via waterbath is soo yummy. Just wondering if it should be pressured canned? This is a total winner. Fabulous. Thank you!!! Can splenda be substituted for the sugar?